Welcome to Day #7 of Chocolate and Almond Theme Week. 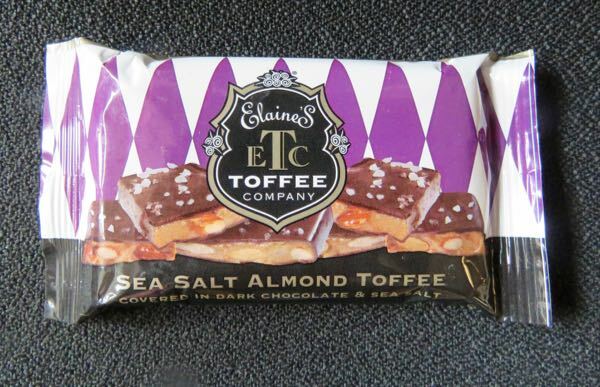 This Sea Salt Almond Toffee - Covered in Dark Chocolate and Sea Salt was from Elaine's Toffee Company (Durango, CO). 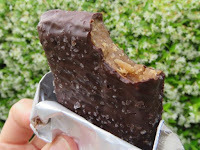 Inside the wrapper was a single, bar-shaped piece of crunchy, sweet thick toffee, covered in chocolate and studded with small crystals of sea salt. 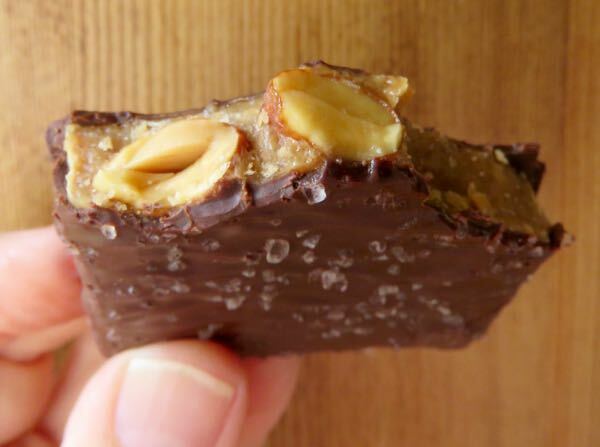 Some bites had no visible almonds, and others revealed a few golden-brown roasted nuts. A bit on the sweet side, and the chocolate took a backseat to the toffee, but that is often what toffees are about.